Продажа Источники бесперебойного питания в Кишиневе, Интернет-магазин iS.md - магазин техники и электроники в Молдове. 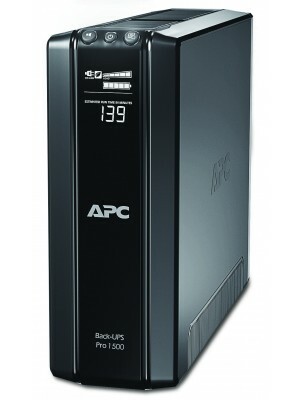 AEG Protect B. 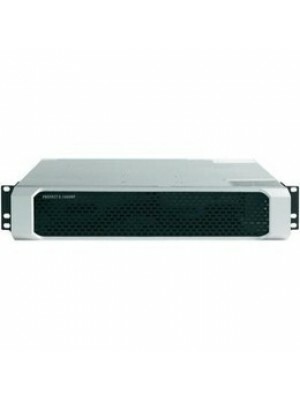 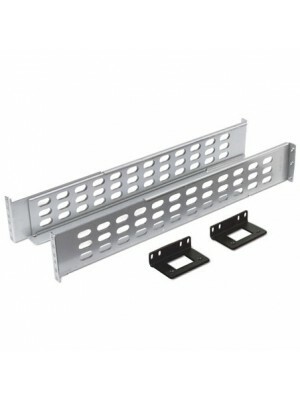 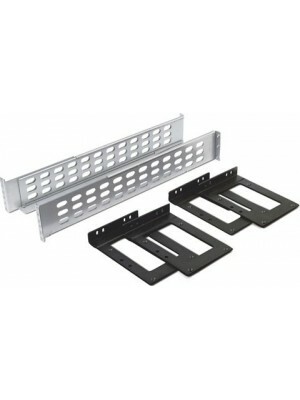 19" rackmount kit (for 750/1000 models). 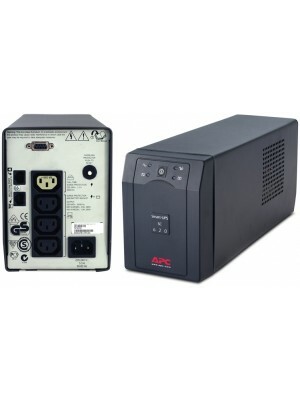 ..
AEG Protect B.1000 PRO Rack/Tower, Line-Interactive UPS, 1000VA/900W, AVR, power factor 0.9lag, rotatable LCD display, true sinusoidal, 8x IEC320,182–280V range, BatteryPack extensions, SNMP slot, RJ11/RJ45 prot, USB & RS232, Rack mounting ..
AEG Protect B.1000 Tower/Rack, Line-Interactive UPS, 1000VA/700W, AVR, LED bar graph, true sinusoidal waveform, 6x IEC320 sockets, 161–276V range, RJ11/RJ45 protection, USB & RS232 port, Rackmount kit Optional. 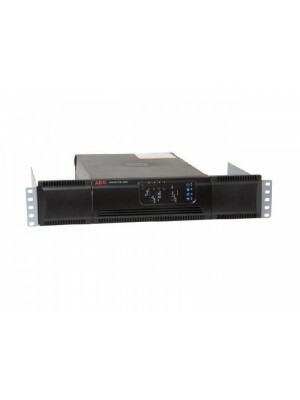 ..
AEG Protect B.1400 PRO Rack/Tower Line-Interactive UPS, 1400VA/1260W, AVR, power factor 0.9lag, rotatable LCD display, true sinusoidal, 8x IEC320,182–280V range, SNMP slot, RJ11/RJ45 prot., USB & RS232, Rack mounting included. 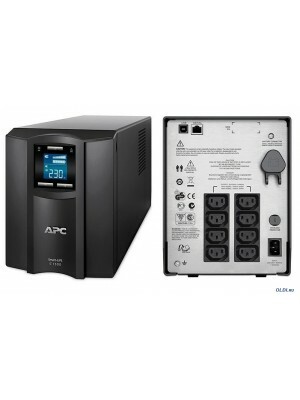 ..
AEG Protect B.3000 PRO Rack/Tower Line-Interactive UPS, 3000VA/2700W, AVR, power factor 0.9lag, rotatable LCD display, true sinusoidal, 6x IEC320,182–280V range, BatteryPack extensions, SNMP slot, RJ11/RJ45 prot., USB & RS232, Rack mounting..
AEG Protect C. Battery Pack 2030 BP / 3000 BP ..
AEG Protect C. Battery Pack 6KVA ..
AEG Protect C.10000 Tower Online UPS, 10000VA/7000W, AVR, LED bar display, true sinusoidal waveform, DSPcontrol, 176–276V range, automatic bypass, max.15min half-load time, BP expand., RS232, Terminal bl., RJ11/45 protection, fan, shutdown software. 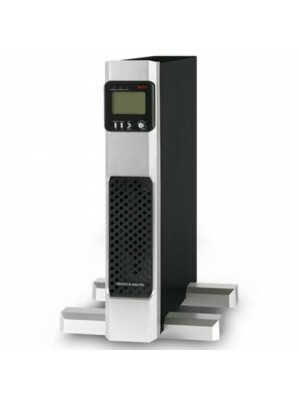 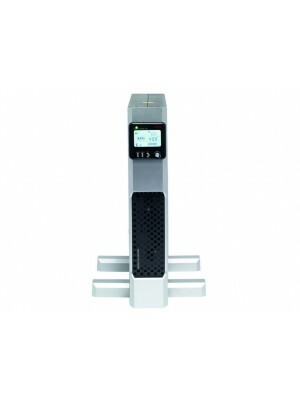 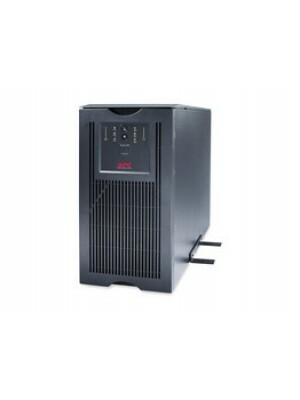 ..
AEG Protect C.3000 Tower Online UPS, 3000VA/2100W, AVR, LED bar display, true sinusoidal waveform, DSPcontrol, 160–300V range, automatic bypass, max.16min half-load time, BP expand., RS232, 4x IEC 320, RJ11/45 protection, fan, shutdown software..
AEG Protect C.6000 Tower Online UPS, 6000VA/4200W, AVR, LED bar display, true sinusoidal waveform, DSPcontrol, 176–276V range, automatic bypass, max.25min half-load time, BP expand., RS232, Terminal bl., RJ11/45 protection, fan, shutdown software. 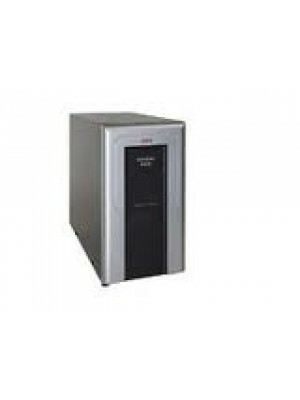 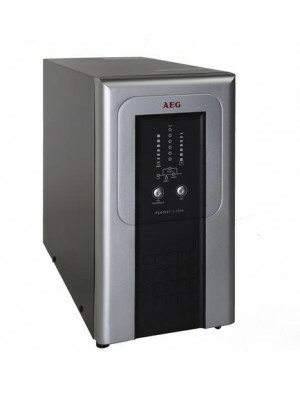 &..
AEG Protect D. Battery Pack 1.5KVA ..
AEG Protect D. Battery Pack 1KVA ..
AEG Protect D. Battery Pack 2/3KVA ..
AEG Protect D.1000 Rack Online UPS, 1000VA/900W, AVR, LCD graph display, true sinusoidal waveform, 160–276V range, 0.9lag PF, ECO+ mode, max.16min half-load, BP expandable, USB/RS232, 6xIEC320, exp/com.slot, RJ11/45 protection, fan, sw. ..
AEG Protect D.1500 Rack Online UPS, 1500VA/1350W, AVR, LCD graph display, true sinusoidal waveform, 160–276V range, 0.9lag PF, ECO+ mode, max.16min half-load, BP expandable, USB/RS232, 6xIEC320, exp/com.slot, RJ11/45 protection, fan, sw. ..
AEG Protect D.2000 Rack Online UPS, 2000VA/1800W, AVR, LCD graph display, true sinusoidal waveform, 180–276V range, 0.9lag PF, ECO+ mode, max.16min half-load, BP expandable, USB/RS232, 6xIEC320, exp/com.slot, RJ11/45 protection, fan, sw. ..
AEG Protect D.3000 Rack Online UPS (VFI topology), 3000VA/2700W, AVR, LCD graph display, true sinusoidal waveform, 180–276V range, 0.9lag PF, ECO+ mode, max.16min half-load, BP expandable, USB/RS232, 6xIEC320, exp/com.slot, RJ11/45 protection. 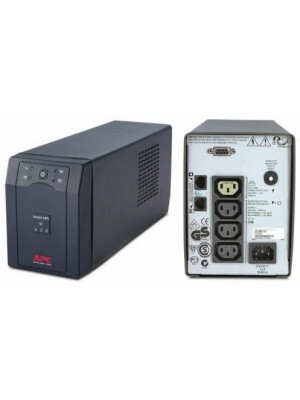 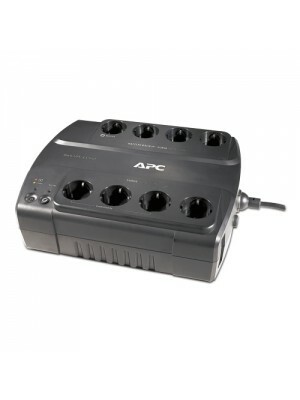 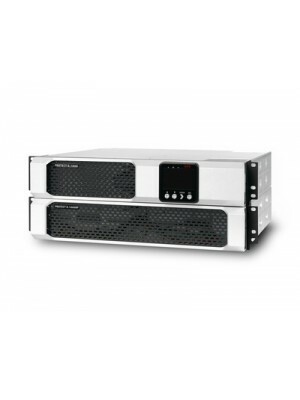 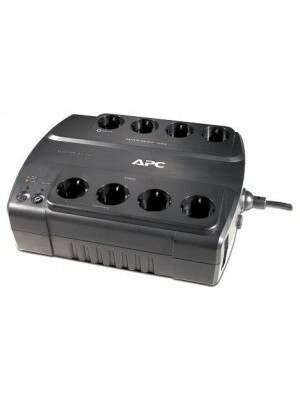 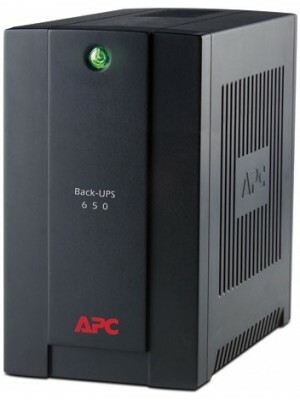 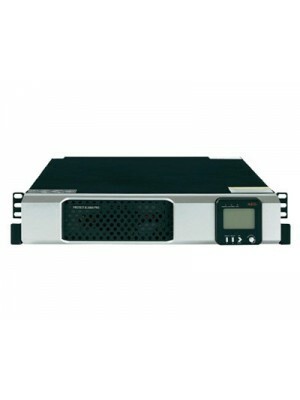 ..
APC Back-UPS RS 650VA (BX650CI-RS) ..
APC Back-UPS,300 Watts /500 VA,Входной 230V /Выход 230V Включает: 2 шт. 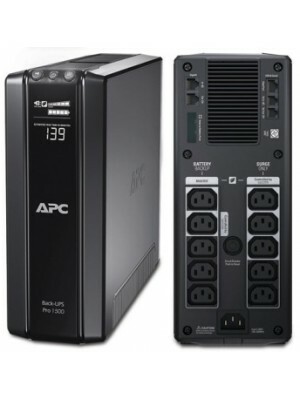 – Съемные шнуры питания IEC 1,8 м, руководство пользователя ..
APC Back-UPS,330 Watts /550 VA,Входной 230V /Выход 230V, Interface Port Optional Simple Signalling RS232 cable, USB Включает: Компакт-диск с программным обеспечением, Телефонный кабель, руководство пользователя ..
APC Back-UPS,405 Watts /700 VA,Входной 230V /Выход 230V, Interface Port Optional Simple Signalling RS232 cable, USB Включает: Компакт-диск с программным обеспечением, Телефонный кабель, руководство пользователя ..
APC BK500-RS Back-UPS CS 500VA/300 watts without Software Full Colour Packaging, Russian. 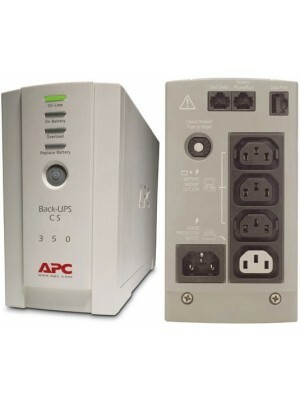 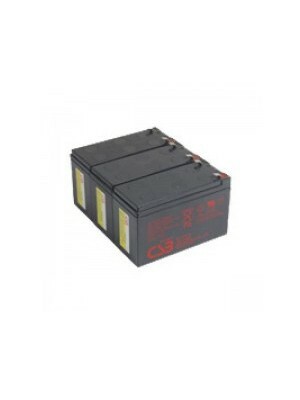 3 x IEC 320 C13 Battery Back-up + 1 x IEC 320 C13 Surge Protected (300 joules), 5.91 kg. 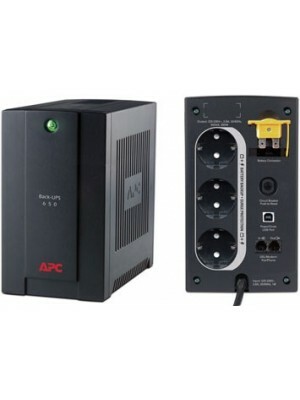 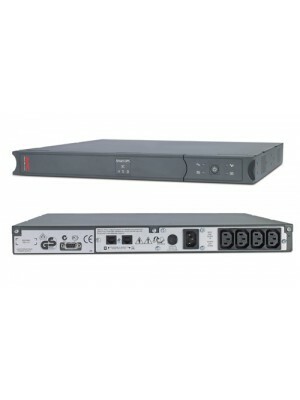 ..
APC Back-UPS Pro,720 Watts /1200 VA,Входной 230V /Выход 230V, Interface Port Optional Simple Signalling RS232 cable, USB Включает: Компакт-диск с программным обеспечением, 2 шт. 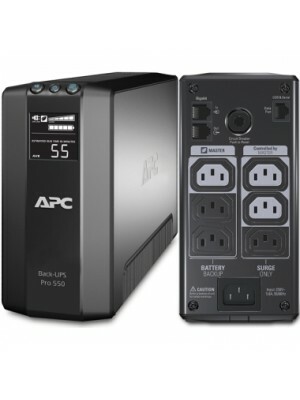 – Съемные шнуры питания IEC 2,0 м, Телефонный кабель, US..
APC BR550GI Back UPS RS LCD 330 Watts/550VA Master Control, Line Interactive, Automatic Volt Regulation Технические характеристики: Тип интерактивный Выходная мощность 550 ВА / 330 Вт Форма выходного сигнала ступенчатая аппроксимация синусоиды В..
Тип: интерактивный Выходная мощность: 1500 ВА / 865 Вт Форма выходного сигнала: ступенчатая аппроксимация синусоиды Макс. 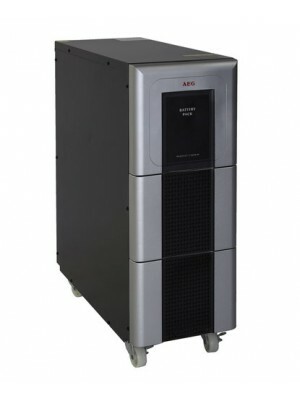 поглощаемая энергия импульса: 680 Дж Количество выходных разъемов питания: 6 (из них с питанием от батарей - 4) К..
APC Smart-UPS,4000 Watts /5000 VA,Входной 230V /Выход 230V, Interface Port DB-9 RS-232, SmartSlot, Высота аппаратурной стойки 5 U Включает: Компакт-диск с программным обеспечением, Компакт-диск с документацией, руководство по инс..
APC Smart-UPS C 1500VA /900 Watts, LCD status console, Input/Output 230V, Interface Port USB, Line Interactive ..
APC Smart-UPS RT 19" Rail Kit for Smart-UPS RT 3/5/7.5/10kVA ..
APC Smart-UPS RT 19" Rail Kit ..
APC Smart-UPS,260 Watts /420 VA,Входной 230V /Выход 230V, Interface Port DB-25 RS-232 Включает: Компакт-диск с программным обеспечением, Сигнальный кабель RS-232 для Smart UPS, руководство пользователя ..
APC Smart-UPS,280 Watts /450 VA,Входной 230V /Выход 230V, Interface Port DB-9 RS-232, Высота аппаратурной стойки 1 U Включает: Компакт-диск с программным обеспечением, кронштейны для монтажа в аппаратурные стойки, Сигнальный кабе..
APC Smart-UPS,390 Watts /620 VA,Входной 230V /Выход 230V, Interface Port DB-9 RS-232 Включает: Компакт-диск с программным обеспечением, Сигнальный кабель RS-232 для Smart UPS, руководство пользователя ..